Have you ever wondered how many active readers you have on your blog? Do your visitors just open and close your website without letting you know if they will return? If your stats show that you attract more new visitors rather than entice old ones to return, then you must recognize that you need to focus on working harder on your audience, instead of thinking about just getting more traffic. To generate more traffic you can make use of social media, guest posts and forums, but users who return on your web pages usually need to have a good reason to do so. If your website is already popular and you have invested your time to create a community around your blog, then the problem of having repeat visitors is solved and all that’s left to do is to keep doing well your job. On the other side, if you have trouble getting users returning to your site, you should think of creating a healthy list of subscribers. The truth is that even today, after years and years of radical changes in the web, email marketing remains one of the most effective strategies that need to be developed and integrated into your road to success. Here are two ways to convince your visitors to leave their email address and subscribe to your mailing list. The registration box is an organic method to collect email addresses. Who is looking for information about what he just read, he’ll likely insert his email address (usually this happens with those who find a solution to their problems). Make known to users that can receive content similar to those who are searching for, using a box at the end of each post. Despite being considered the best tactic, it will help only to collect email addresses from those who have already been convinced to sign up for other reasons. If you want to make a difference and collect more contacts, compared to other bloggers, you may consider a second option to collect more emails. Unlike simple registration boxes, exit pop-up opt-ins allow you to be more persuasive. – one of the features of the pop-ups is that you can test different versions. Try to run several A/B tests, to find out which of them converts more. This way, you’ll know exactly which resource is more interesting, what content like most to the public and, of course, collect more subscribers. Also, you should know that once gone down this road, you have to continue to send relevant content to your subscribers, keeping in mind what they have downloaded. Target and email marketing play a crucial role in building a huge mailing list. Other than using pop-ups, be sure to learn how to write newsletters that get opened, read, and clicked. For those who decide to use them, let’s see some examples of WordPress plugins that use the “exit intention” technology and other tools that can help you to capture more email addresses. Optin Monster works out of the box with all major email marketing software, including GetResponse. There are different packages, from the basic plan at $49, passing through $199 and the biggest one at $499. One of the most popular ones. It allows you to use different layout and colors, produces statistics and reports and integrates with all the most used and famous autoresponders. It also includes rules for the target and the option to run A/B testing. The basic plan is $77 per year, which you can use only for one site. You can set it to work based on the percentage of sliding, so when your readers reach the end of a post or comment, a small popup appears in the lower right or left corner. It’s free and you can get it here. It’s the most versatile WordPress plugin of this list and allows you to customize the design of your pop-up. You can use Icegram to give users access to any of your eBooks and capture their email addresses. But be careful: you have to build a landing page yourself. Hope you will find some inspiration and ideas, browsing this list of email marketing resources. Whether the tool you are using to capture the attention of your users, be sure to track the results. Also, remember that the important thing is not only the technology you use to achieve your goals, but also the value of the content you offer to your subscribers. Are you using pop-ups on your website? We really need the right information to build a solid list. It’s ones marketplace. The only issue I have is with my current autoresponder, INinbox, not currently being supported by most of these tools. it’s good to have a list of both free or premium plugins to use for building a mailing list. I was not aware INinbox does not support most of the tools mentioned. Erik, great timing, I want to expand my email list and having a box at the end of each post is something I should try. Thanks for sharing these great tips with us. I just have a box on the top right hand corner of my blog – and when people sign up for emails they get my eBook for Free. I’m not sold yet on pop-ups, I heard they work but I don’t like visiting sites with them – especially on my mobile device. good to hear you enjoyed the resources mentioned in this post. Yeah, having a box at the end of each posts definitely helps increasing the number of contacts. Pop-ups really depend on your choice and taste. You are right about the various ways we can work on our mailing list, something we started very late with our blogs, but glad we did! Yes, the box in the end of the post or the right sidebar work well. Honestly speaking, I personally don’t like pop-ups, unless they show up in the end or just for a second and vanish! But that doesn’t generally happen, and we too are trying them on our blog, thanks to Icegram (if you remember the review we’d written) and it’s working well so far – they have lots of other options too. Haven’t heard of the rest, so need to check them out as well. Yes, I remember you wrote about Icegram on Aha-Now blog. I believe it was the first time I’ve heard of it. but I think that, on the other side, they really convert. Of course, you need to be prepared to lose a portion of the visitors. have a great week, Harleena! It is no news that having a mail list is so important so I am glad that you discussed about this important topic. The two techniques you listed to grow subscribers are spot on especially the exit pop-up which is a persuasive way of gaining subscribers. I also like the tools that you have listed. I am using Icegram which has lots of cool features. I am not really familiar with the rest. Thanks for sharing. 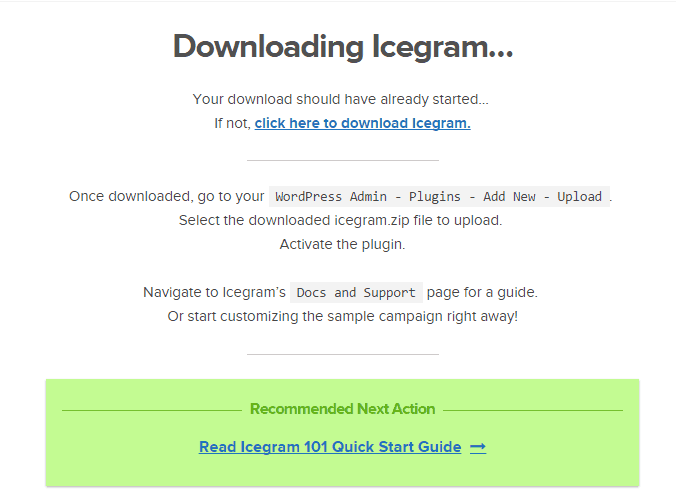 Good to hear you are already using Icegram. What’s your feedback using it? It’s another interesting and informative post. I don’t have much more idea about the things you mentioned above except Mailchimp. I highly recommend Mailchimp to people who looking for best pop-up subscription form. I started to use that in 2 weeks ago.. OMG, my subscribing list go over and over each day. Have a blessed days ahead. thanks for sharing your experience with Mailchimp. How much do you pay per month for managing your list? Previously i was not very much concerned about building mailing list and only concentrating on getting organic traffic.. But now a days it is quite important to search for different ways of getting traffic as the search engine algorithms revised and it is not easy today to get lots of visitors through search engine only.. I have now start building email list and getting lots of direct traffic as well.. I was not aware of the most of the tools you mention here.. I am only using the WP plugin for email list building. Thanks a lot for a great list of tools. The money is in the list, Ovais! As most of the people says. hope this post will help you a bit improving your email marketing campaign. I have learnt and i’ll keep on learning until christ comes. Hey Erik, you just showed me where i have loop hole on my Blogginglane. .
Now i know why i haven’t gathered enough subscribers on a Blog full with Quality Contents but if i should implement this Tips gotten from here , I’m sure they gonna be a change for good. Glad you liked the tips included here. Keep up the good work and thanks for commenting. Pop ups are a great way of increasing optins…and Optin Monster is quite famous and the recommended (and preferred option by many). I guess it depends from your audience and niche. In any case, it’s good to do A/B testing, to check which performs better. Glad you liked the list, Sylvia! Optin Monster is a good one and I have using it, help me a lot to build my mailling list. Great post. The first two tools you mentioned I’ve heard about, but the last two are pretty new to me. Right now, I have a couple of list building things already but I would definitely give these a look. Thanks for this post. P.S. I just started doing exit intent popups and they’ve been working beautifully. Should have been doing this from the start. Indeed, these email marketing resources can provide some inspiration and ideas for many people. Increasing mail subscribers with the right tools is a decision any marketer will provide. Although I hardly use any of the above tools, it would be exciting to test one or more to see what benefits they bring to the table! This post was “kingged” or upvoted in kingged.com where it was shared. Having an long email list is always pleasure for every blogger. To collect emails we have to place our email subscriber box in correct place and a good design email template. You discuss both of these points in post. These 4 tools are very important for collecting emails. 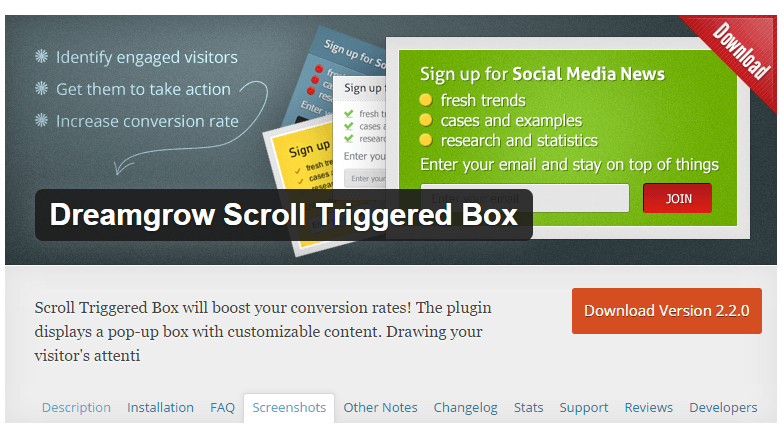 I already use Dreamgrow trigger scroll box and Icegram on my blog. Both of them are work perfectly for me. Good you have shared your favorite ones, Hamim. Excellent post and the list of these email capturing plugins! Well, I am not using any of the listed ones but only using SuMoMe which is working okay for me. Thank you for this guide, Erik! I am happy to share it! Well using of email subscription will surely get some awesome amount of subscribers to our blogs and I the listed mailing listed tools seems quite useful. Cool tools that you’d shared. May i know like that you have tired any of these tools ? I feel and I heard that Optin monster is the pretty good amongst all. and see top influencers uses that. And techniquest tht you’d mentioned , i’m hearing it now. is ithat box Enroll at the end of each post is free / do we need to pay for it ? thanks for visiting and commenting another post. What Enroll box are you referring to? ya its a good post regarding increasing mailing list as am new to blogging it will helps me a lot thanks for your sharing. i am feeling very glad to read your blog. Every time in your articles having more realistic points which helps to improve our goal in SEO Filed. Thank you very much. Thanks for the kind words, Sakshi. Nice work. I like optinmonster as i use it one of my old blog. Other plugins are also great. what is your first preference by the way? Honestly, I’ve never used any pop-up plugins (I’m not a fan). But if I should start, I’d choose “Optinmonster” too. Thanks for leaving your comment, Dev.